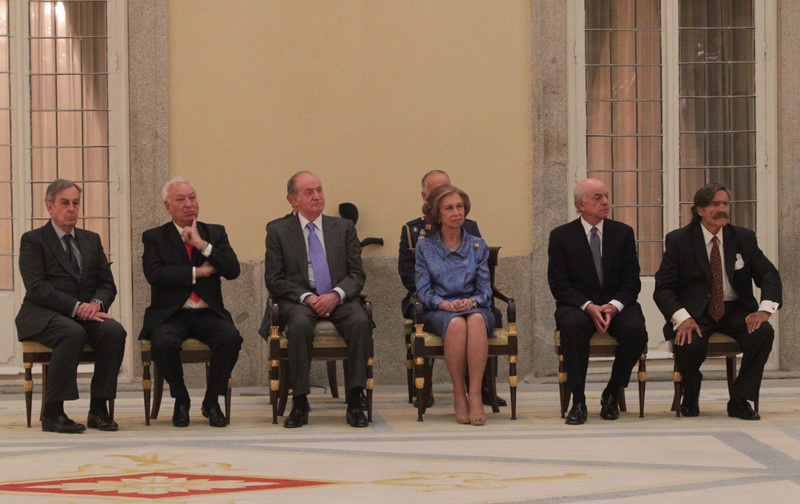 King Juan Carlos and Queen Sofia hosted events together this week. The media, especially international outlets, have talked about possible troubles in their relationship. And the busy agenda has kept them apart in recent days, at least in public. Today Their Majesties received leaders and students of United World Colleges, a global organization designed to promote peace and understanding through multicultural education. 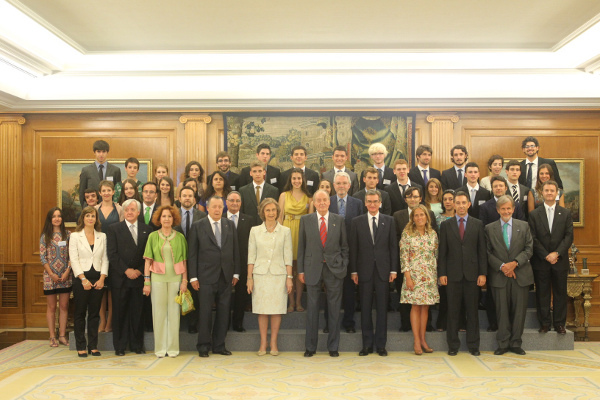 The King and Queen are high patrons of the foundation in Spain. They were joined by the head of the Spanish chapter of the foundation, the King’s cousin, His Royal Highness Infante Don Carlos de Borbón-Dos Sicilias. Earlier this week, Their Majesties met with participants of this year’s Ruta Quetzal. Sponsored by Banco Bilbao Vizcaya Argentaria, the program takes outstanding young people from several countries on an expedition. Posted on July 13, 2012 February 16, 2014 by talkingwithamericansPosted in UncategorizedTagged King Juan Carlos, Queen Sofia, Spain.